Since I was such a tease with the leavened cake the other day, here’s a real unleavened treat. Though we’re close to the end of the Days of Unleavened Bread, there are still a couple days left to make this DOUB classic. I know some people already use this recipe (because I’ve seen them talk about it on Facebook), but if you haven’t then you must immediately! This was my mom’s go-to recipe during this season. I never could understand why people would want to eat matzo, because it’s like eating cardboard. These, on the other hand, are moist and buttery and chewy and flavorful and FULL OF AWESOME. This recipe is really versatile. 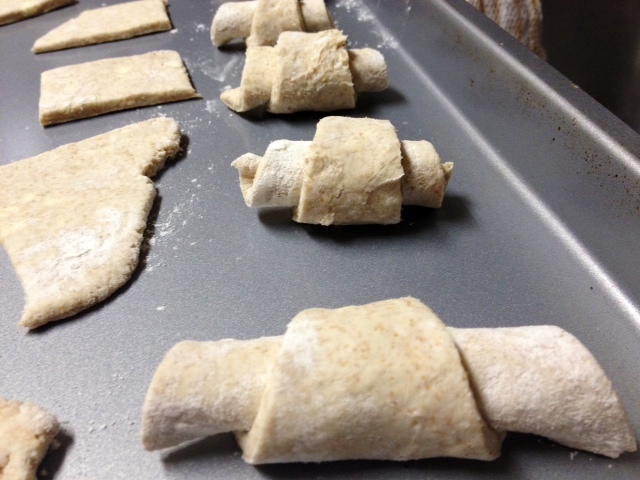 You can make it as-is, substitute whole wheat flour for part, add savory or sweet flavors, make rolls or roll out flat. 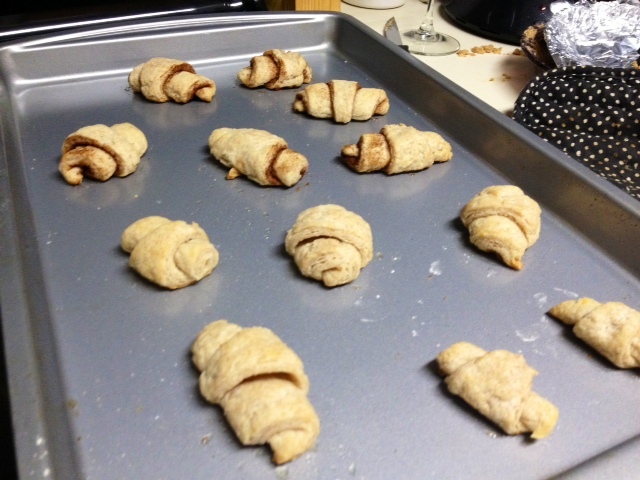 I mixed it up a lot this week, using some rosemary, some cinnamon-sugar, and some whole wheat flour. There’s no real set order you have to combine everything in. 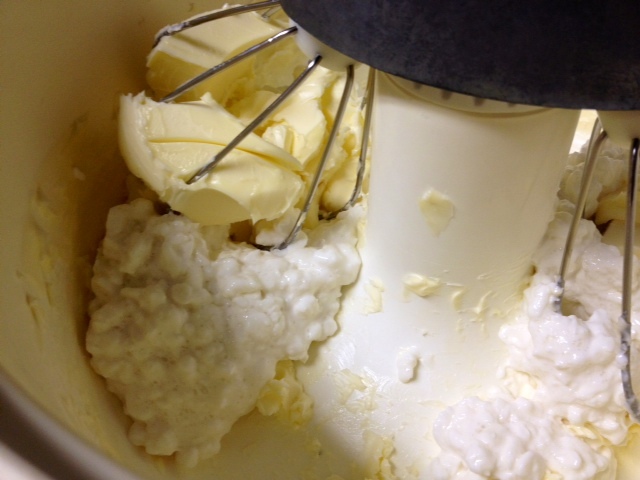 I went with normal baking logic, starting with mixing the softened butter. Oh, and preheat the oven to 350 F if you’re going to bake them right away. 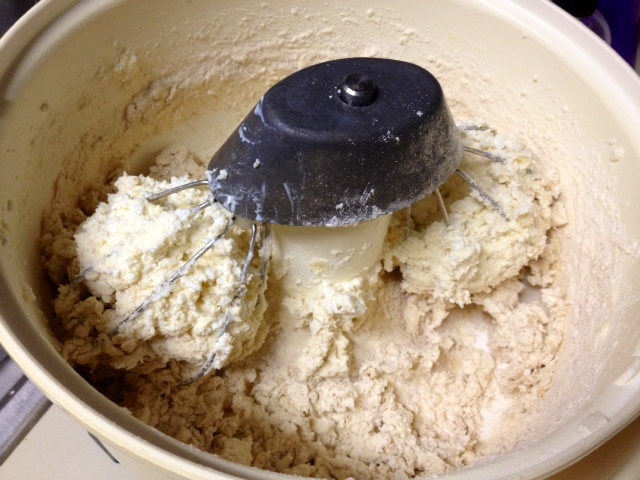 Then the flour and salt. Your dough will be super sticky, that’s totally normal. You have two options at this point. You can bake them right away, or chill the dough for a while. Both work equally well. You also can bake some now, then chill the rest of the dough to use later. 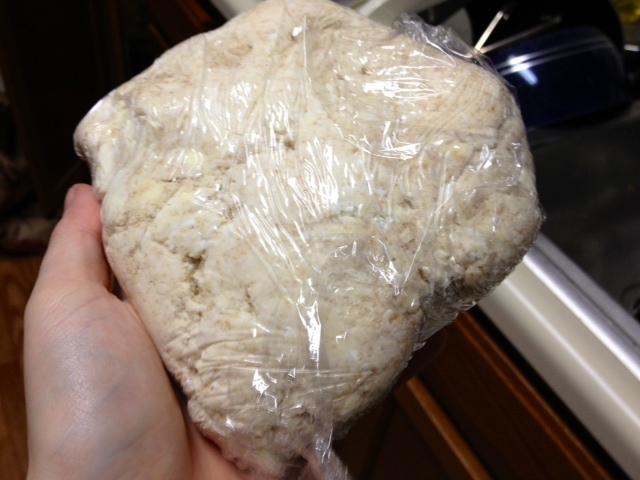 If using the dough later, wrap tightly in plastic wrap and put in the fridge (will keep a couple days). When you’re ready to bake, place the dough on a counter or pastry mat with just enough flour to keep it from sticking to the surface. 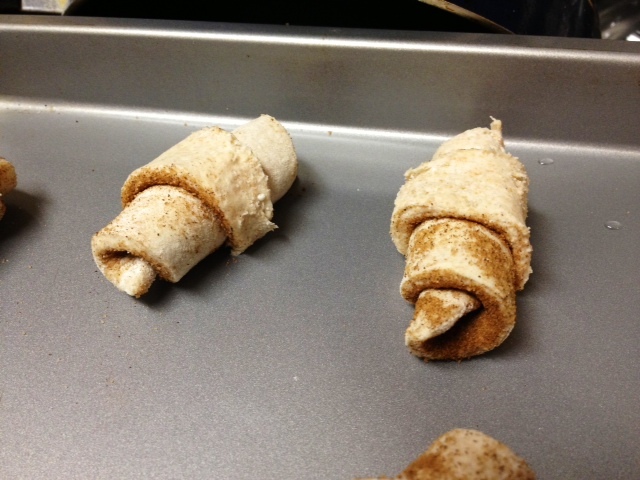 Roll out thin and round, like pie crust but slightly thicker. Using a pizza cutter, cut the wheel into wedges. As I said above, you can add other flavors if you like. 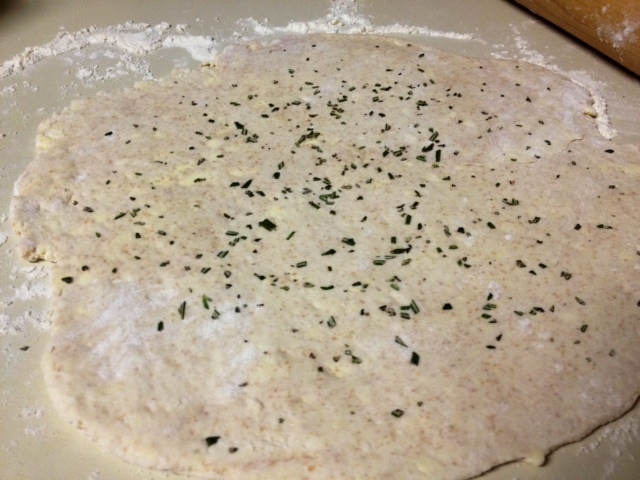 I chopped up some rosemary and sprinkled it on and gave it a quick roll with the rolling pin to make it stick. 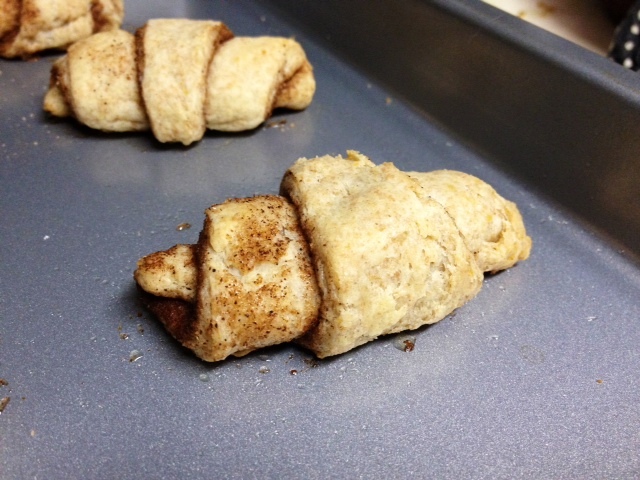 I had some cinnamon sugar leftover from something else, so I gave it a healthy sprinkling. 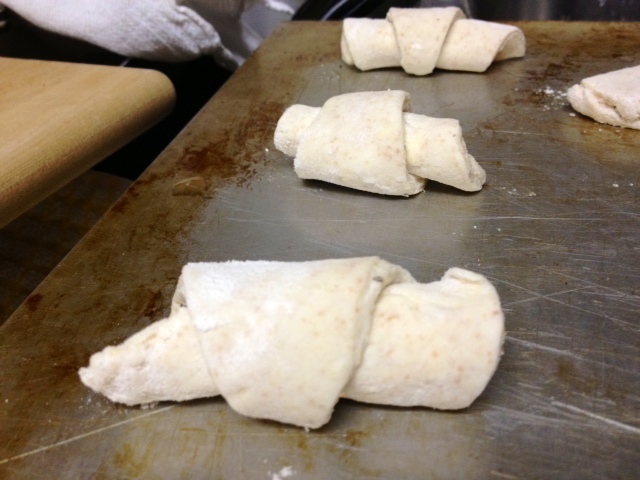 Starting from the wide end, roll the wedges up into crescents, tucking the pointy end beneath them. Place on a baking sheet. You can have them fairly close together, they won’t spread too much. I also tried something we (for some reason) hadn’t ever done. 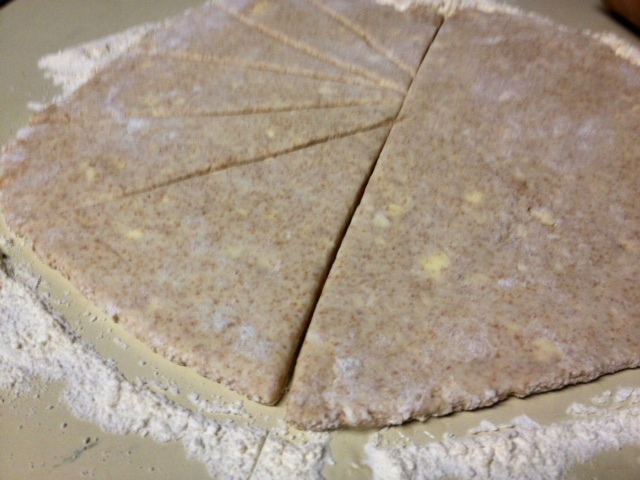 I rolled part of the dough a little thicker and just cut into slabs. I figured it would be easier for putting butter and jelly on! Bake for 20-25 minutes, until puffy and golden. One way to tell if they’re done is to flip one over and see if it’s crispy and golden on the bottom. Let sit for at least a few minutes before chowing down. 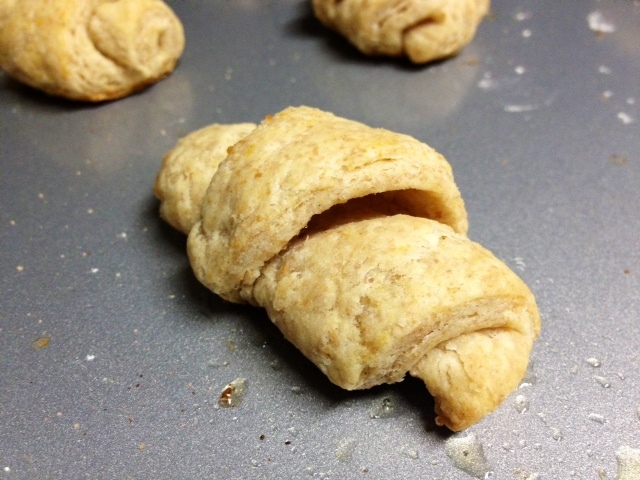 I’ve made a few batches these Days of Unleavened Bread and, though I typically don’t eat bread much, I’m pretty sure my diet has been 50% cottage cheese rolls this past week. 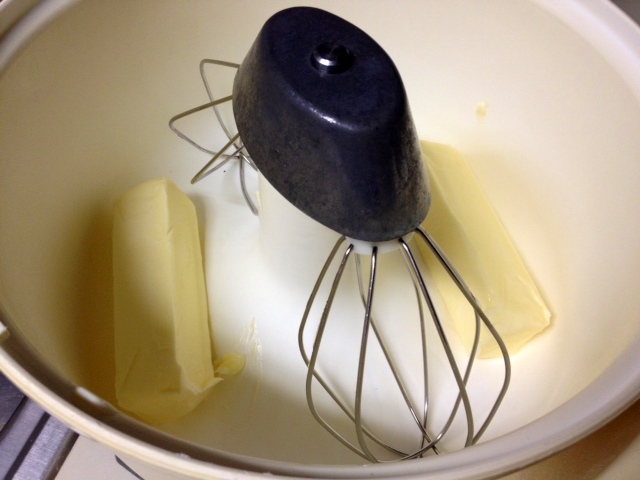 Using a stand mixer, combine all ingredients. There’s not a dictated order, but I went with the regular—start with butter, add the cottage cheese, then the dry ingredients. The dough will be very sticky. You can bake right away or wrap the dough in plastic wrap and chill for a day or two. When you’re ready to bake, preheat the oven to 350 F. On a counter or pastry mat, roll the dough out with just enough flour to keep it from sticking. 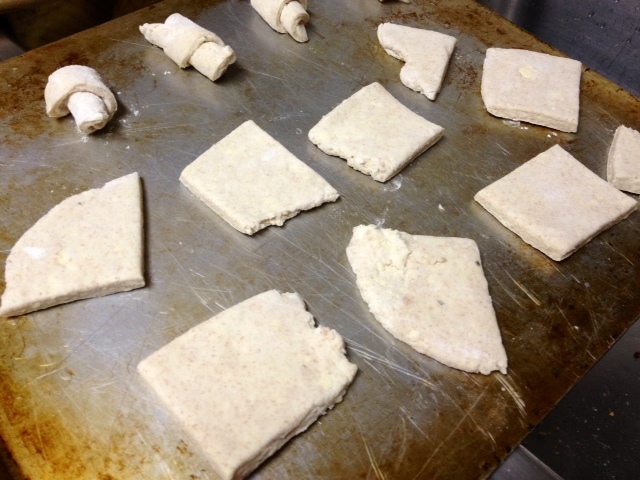 Roll into a round shape a little thicker than pie crust. 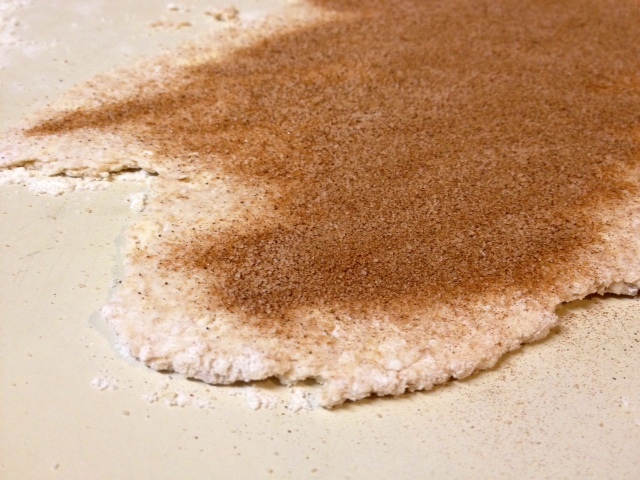 If you’re using any add-ins (fresh herbs, cinnamon sugar, fruit zest), sprinkle those on and give it one more roll with the rolling pin to make it stick. Using a pizza cutter, slice into wedges. Start from the wide end and roll the wedges into a crescent, tucking the pointy end underneath. Bake for 20-25 minutes, until golden and puffy (check the bottom to tell if it’s done). Let cool for a few minutes before eating. I put finely chopped nuts and honey on them before rolling them into the crescent shape, and that turned out great! Another time it was a small dab of almond paste. Also very good. 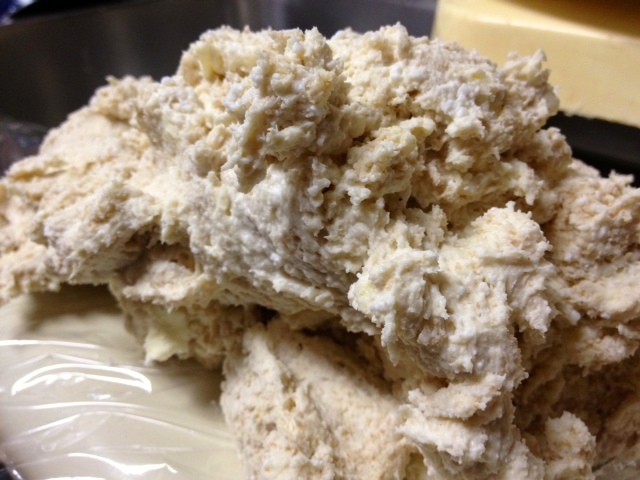 Originally I was given this recipe from a woman who said to mix the dough until it was smooth and elastic, then refrigerate for several hours. It is easy to roll out! Ooh, that would be delish! I love almond paste in pretty much anything! I think the original recipe does call for chilling, though my family is so bad about doing it!! Birthday Red Wine Chocolate Cake!